These days are really adventurous for investors. A few weeks ago, Ben Bernanke announced a continuation of the quantitative easing program. Just last week the non-approval of the US government’s budget lead to a partial shutdown of discretionary government services. Although the media is reporting a lot about this shutdown, it has had just a minor influence on equity markets. The more important event will take place on October 17, the date the debt ceiling of US$16.7 trillion is expected to be reached. Barack Obama said on Thursday 3rd of October: “As reckless as a government shutdown is, as many people as are being hurt by a government shutdown, an economic shutdown that results from default would be dramatically worse” 1. Obama knows about the consequences and will try to solve the issue in a facesaving manner for all involved parties. Scenario Number 1: Government shutdown will be resolved quickly. Debt ceiling will be raised well before 17th of October. As a result, equity markets will rise. Scenario Number 2: Government shutdown will be resolved, but too soon to solve disputes about raising the debt ceiling. The US will breach the ceiling for some days before raising it. Before raising the ceiling, equity markets will react in a negative way. With an increase of the debt ceiling stock markets will go up again, reaching new highs. This is our preferred scenario as it would provide good opportunity to buy equities at a cheaper price. Scenario Number 3: Government decision to shutdown cannot be solved. Debt ceiling will not be raised, leading to a credit downgrade of US debt and a partial default on US obligations. This scenario is highly unlikely, although possible. The result could be disastrous, even leading to a new Great Depression. Stock markets would plummet and yields on government bonds around the world would rise dramatically. It would even threaten the position of the USD as the world leading currency. Big investors like Larry Fink (BlackRock Inc.) and Bill Gross (PIMCO) expect the budget standoff to be resolved without a debt default. 5 We share their view and think that a solution will be found. Short-term: bullish on developed market equities, especially Europe, as long as no further announcements about the Euro-crisis will be made. After solving the US government shutdown and raising the debt ceiling, markets will continue to rise. New highs are likely until year-end. Major US equity markets are in bullish territory. New highs were hit in the mid of September from where the index S&P500 lost around 10%. This, most likely, is due to anticipated troubles that the partial US government shutdown and debt ceiling would cause. 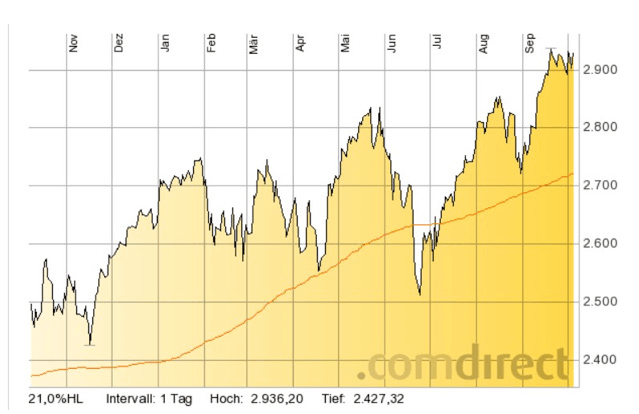 Anyway, the index is still far from the 200-day moving average (orange line). The market shows strength albeit the troubles discussed before. Taking this momentum, we expect US equities to provide positive returns until at least the end of the year. Further dips could be good buying opportunities. 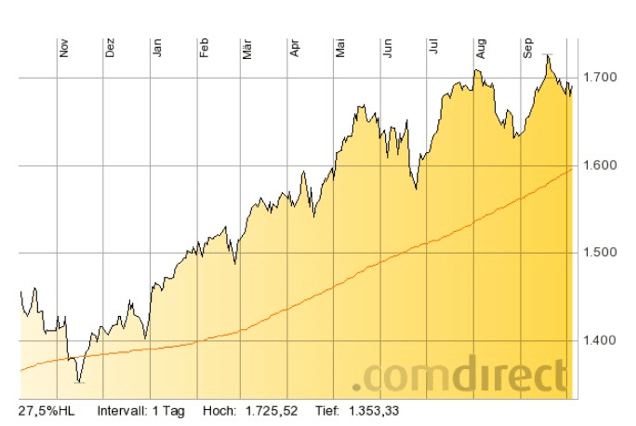 The Euro-crisis is not yet solved, but the EuroStoxx50 index shows strength and is definitely in bullish territory. Since mid-September, the index performed better than the S&P500. It is close to recent highs and we expect the index to reach new highs soon and offer superior returns over the S&P500 at least until the end of the year. Our expectations assume no new surprises in connection to the Euro-crisis. Dips in equity markets could be good buying opportunities. Gold recently lost its position as a safe haven with prices well in bearish territory. 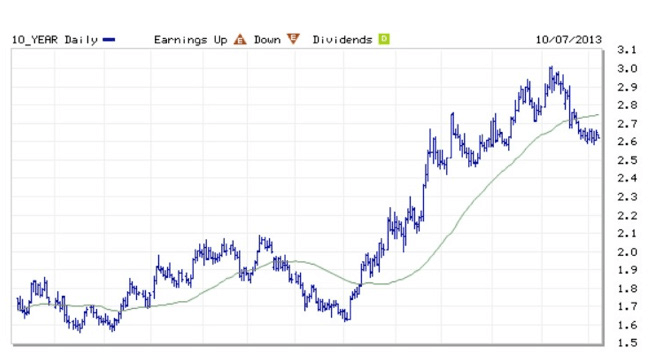 After an incredible rally since the year 2000 from US$250 per ounce to US$1900 in 2011. During the last year, the price fell from US$1770 to a price of around US$1300. Gold mining stocks were hit even harder with some stocks losing 90% of its value. For risk loving investors, this can be a unique moment to invest into gold and other precious metals mining stocks. 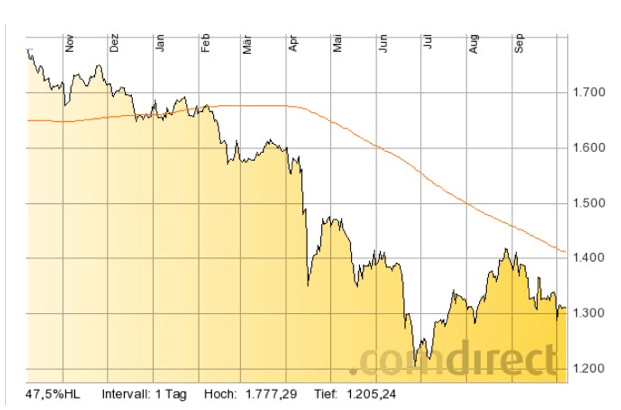 Investors should be warned, a drop in gold price to US$1000 is highly likely. This would lead to bankruptcies across the mining sector where production costs are steadily rising. For many companies it is already hard to cover production costs with a gold price at US$1300. US treasury yields do not indicate any fear of default on US government bonds. After the decision of Ben Bernanke and the US Federal Reserve the treasury rates came back down to around 2.6% where they remain steady. In the unlikely event of the US defaulting on its government debt the rates would rise dramatically. The fear of default is limited, if not negligible. The momentum of major equity markets looks positive, showing surprising short-term strength with mediumterm uncertainties. Cheap money and lack of other investment opportunities will bolster equity markets. Major risks remain and investors should be aware that markets are volatile. Many equity markets are close to historic highs and a major correction is likely to happen in the future. 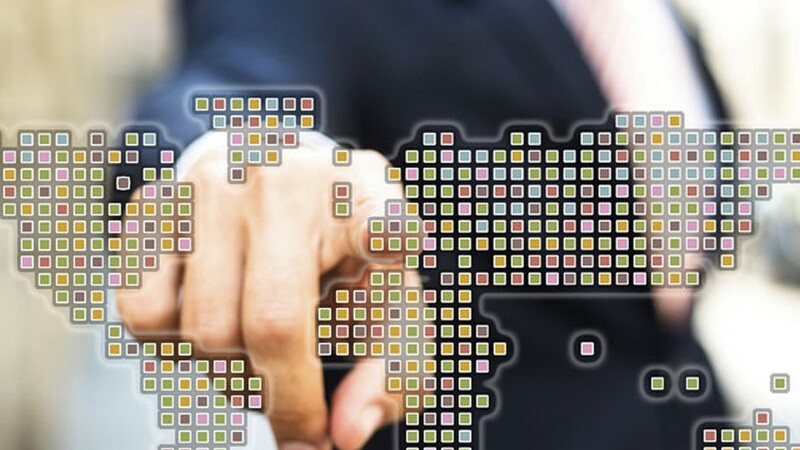 As discussed at an earlier stage, various trouble spots exist and drawing the right conclusion out of these developments will be the major challenge for every investor. DISCLAIMER: Comments/charts do not necessarily imply their suitability for individual portfolios or situations in respect of which further advice should be sought. Shoreline is not responsible for the content of external internet sites. This information used in this newsletter has been prepared from a wide variety of sources that Shoreline, to the best of its knowledge and belief, considers accurate. You should make your own enquiries about the investments and we strongly suggest you seek advice before acting upon any recommendation. The opinions expressed in this report are those held by the authors at the time of going to print. The views expressed herein are not to be taken as advice or recommendation to sell or buy shares. This material should not be relied on as including sufficient information to support an investment decision. Any forecasts or opinions expressed are Shoreline’s own at the date of this document and may be subject to change. WARNING: Investing involves risk. The information provided by Shoreline in this newsletter is for general information only, which means it does not take into account your investment objectives, financial situation or needs. You should therefore consider whether the advice is appropriate to your investment objectives, financial situation and needs before acting upon it, seeking advice from a financial adviser or stockbroker if necessary.